The citizens of Winklethorpe are in terrible danger. Young scientist and inventor, Fuzzy Jones, has tried to warn them but who listens to kids? Scorned by all but a few trusty friends, Fuzzy crafts an audaciously cunning plan. 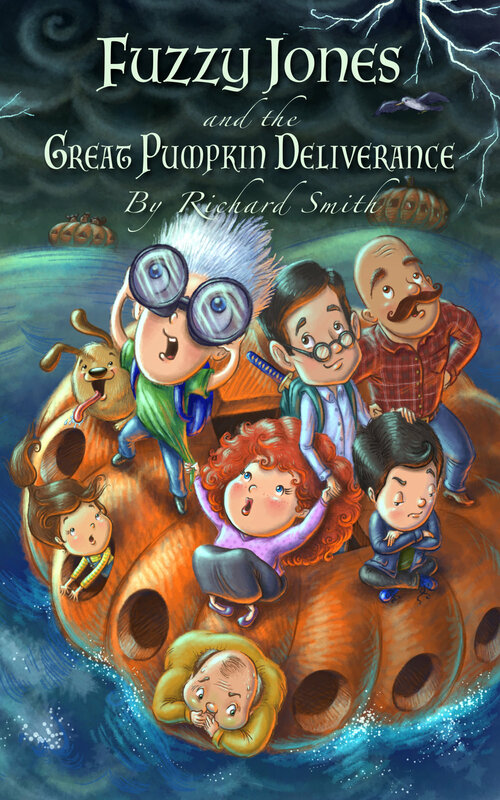 With the clock ticking, can he and his friends complete the great pumpkin deliverance, saving the villagers from certain doom? For fans of classic children's adventure stories, this uproarious tale will make you laugh until you cry - or at least giggle a bit - as Fuzzy bumbles his way through one ridiculous adventure after another. Thrust back in time and space, Fuzzy and his friends find themselves in Northern California during the Great Depression. They land slap bang in the middle of a traveling circus run by an evil ring master who forces them to join his troupe of misfits. Fuzzy must use all of his skills to help these poor unfortunates and find his way back to Winklethorpe and the loving embrace of his family.